So we enjoyed our evening visit to Hinterland at St Peter’s Seminary, but felt slightly underwhelmed, the show seems too reliant on the architecture. We were lookng to be moved, but the visuals and music was all fairly background and a light touch. The visceral feeling of say a nightclub or a football stadium wasn’t felt here, but if you were after intellectual or artistic vitamins instead of emotional upheaval there was also little to stimulate. It didn’t pull at the heart as say their Storr (Skye) event. There are narratives relative to the Catholic church, Modern architecture, the woods (think of how Twin Peaks developed deeper layered themes such as the owls) which seemed under-exploited. 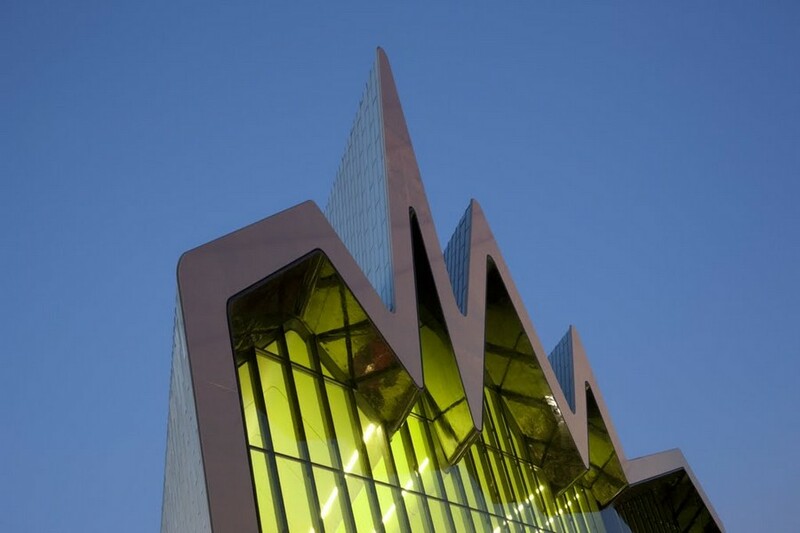 Overall it was a pleasant experience and interesting to revisit this stunning architecture at nightime, and NVA are to be thoroughly congratulated on their efforts both recent and forthcoming in making positive change at this important building. You got the feeling the organisers had had a lot of fun developing the route and the staging and we got the impression people enjoyed it but weren’t blown away by it. However we only spoke to a handful of people so would love to hear from people who have different views! Scotland’s Festival of Architecture was launched with a sound and light performance at one of the country’s most famous Modernist ruins. Isabelle and Adrian from e-architect attended Hinterland and posted a brief report online. St Peter’s Seminary in Cardross will host the first of 10 shows to mark the start of the eight-month long festival. Now an A-listed ruin, arts groups hope to make it a viable venue for music and theatre performances. 9 Feb 2016 – Amidst the stunning, brutal, modern architecture of St Peter’s Seminary, audiences in March will discover aspects of the degraded building highlighted and animated through light installations, projection and sound elements. The contemplative heart of Hinterland is a composition by one of Scotland’s finest composers Rory Boyle. Rory has recorded the work with St Salvator’s Chapel Choir from the University of St Andrews, trumpeter Bede Williams and percussionist Tom Lowe, then joining in the studio with Alistair MacDonald to manipulate the sounds electronically and matrix them to different parts of the building . 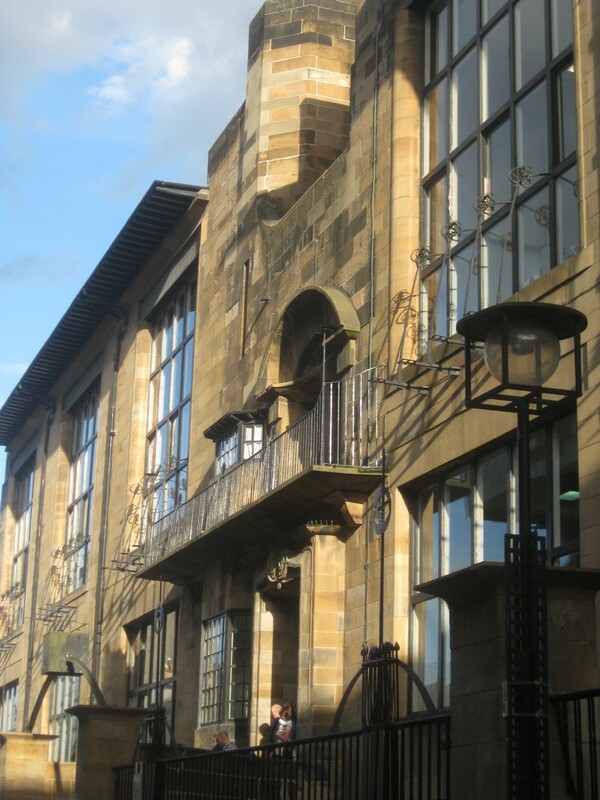 Rory Boyle’s connection to St Peter’s Seminary Cardross goes back to his first composition teacher at what was then called the Royal Scottish Academy of Music and Drama, now the Royal Conservatoire of Scotland, Frank Spedding. 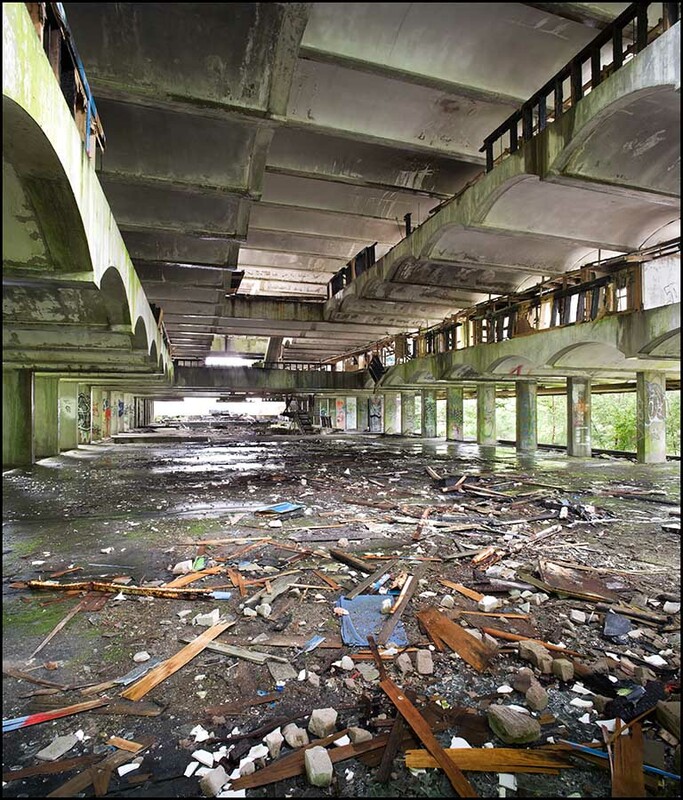 In 2006 Rory met Murray Grigor, the film maker who was remaking a retrospective shot-for-shot black and white version of the seminal film he had originally shot in colour in 1972 called Space and Light about St Peter’s Seminary. Murray was seeking the music of the original film which it transpired was by Frank Spedding. Rory stepped in to find the music and restore two missing passages and went on to conduct the music live at the premiere in 2009. Rory Boyle said, “What struck me so forcibly at the time was how Frank’s wonderful score was prescient in the way that it matched the abandoned and ruined building so perfectly as well as the original structure. “In Space and Light, Spedding had cleverly used the plainsong chant Veni Creator Spiritus to reinforce the sacred elements. When I was commissioned to write the music for Hinterland, I felt I wanted to keep the historical musical thread by also incorporating Veni Creator Spiritus which weaves its way through the 25 minute score. I knew that the St Andrews Choir was going to be a central focus but I also wanted to use the sound of the trumpet as well as some discreet percussion, and these three elements make up the core of the music. Copyright © 2016 NVA, All rights reserved. Leading public arts organisation NVA will mark the official launch of the Festival of Architecture in March 2016 by inviting audiences to experience Scotland’s most iconic modernist building, St Peter’s Seminary in Cardross, with a night-time public art event exactly 50 years since the iconic building was first opened. Audiences will walk through the atmospheric, semi-ancient, woodland to discover the ruined seminary buildings, subtly re-animated with monochromatic light installations and a specially commissioned choral work by composer Rory Boyle and performed by St. Salvator’s Chapel Choir from the University of St Andrews. e-architect directors will attend Hinterland and report back to our readers.